Terrorist William Plotnikov carries weapons in this undated photo released by Dagestani branch of the Russian Federal Security Service. 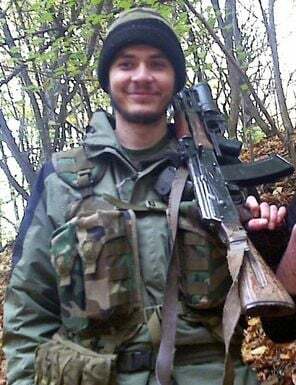 Canadian jihadist William Plotnikov told Russian officials about American Tameraln Tsarnaev during interrogations two years ago. Russian media reports say anti-terrorism investigators became concerned about Tsarnaev when they discovered he had made contact with Islamic radicals William Plotnikov and Mahmoud Nidal.